At Carolina Sporting Arms, we are always on the lookout for quality used guns. Thanks to our large local following in the Charlotte region, coupled with our strong online presence, we have buyers who are looking for the guns you want to sell. Consignment offers you the maximum dollar for your gun or gun collection, as well as peace of mind. First, our staff appraiser will help you value and price what you have to sell. We will then professionally photograph your collection in our in-store studio for listing on our online web portal for maximum exposure nationwide. 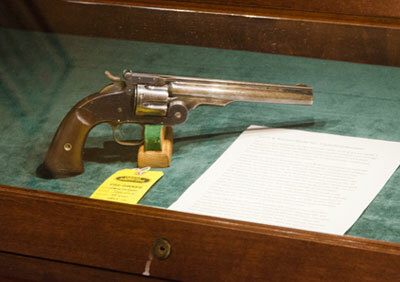 Selling a gun collection can be stressful, but our consignment process can help make it stress-free. When we take the consignment, it goes onto our books as a federal firearms license holder. We assume the risk for validating that the buyer is eligible to own that gun, freeing you of any liability after the sale. We also field any and all questions about the collection, and we maintain your complete confidentiality throughout the sales process. For sellers who would rather get paid for their collection right away, we will sometimes purchase collections outright for our own resale. Since Carolina Sporting Arms must assume the inventory risk for these kinds of purchases, the seller will generally net less than with a consignment transaction, but if you want cash now for your collection, outright purchase may be the right choice for you.